In this article I will describe the steps that are needed to decrypt files that are infected with TeslaScript. If you have to exclude the same entries every time, you can put them in a template. This is the template I use all the time. 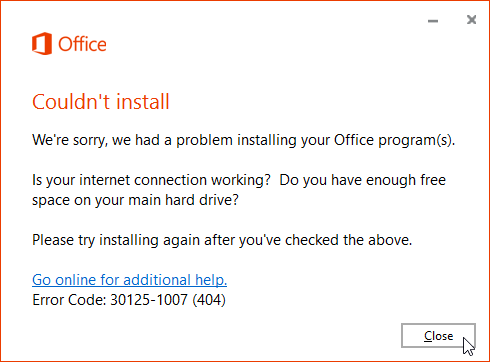 While trying to download Office 2016 C2R installation files, I received the following error message: “We are sorry, we had a problem installing your Office program(s).” The error code is 30125-1007 (404). These error messages are not very clear. The only ‘normal’ part is the error code 404, that stands for not found. 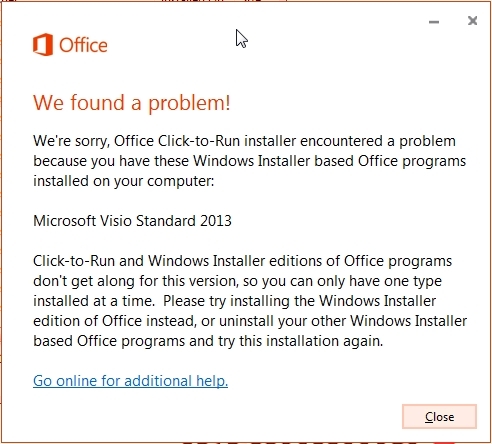 Error message: we’re sorry, Office Click to Run installer encountered a problem because you have these Windows Installer based Office programs installed on your computer. 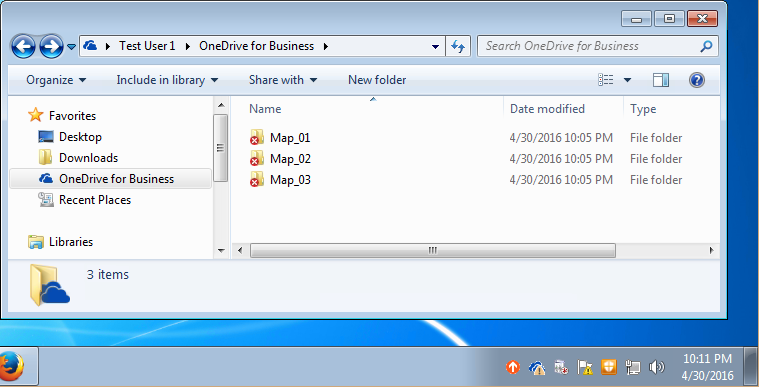 If you try to save a Visio drawing on OneDrive, you will think the drawing has been saved, but actually it is not. Microsoft has launched the new Office 2016. In this aricle I will describe the steps that are needed to upgrade from Office 2013 Click to Run to Office 2016 Click to Run. 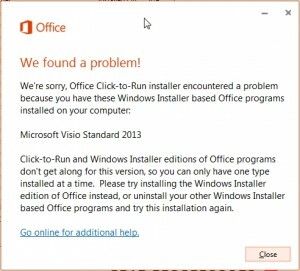 Then the repair stops and you end up with an installation with – in this example – Visio 2013 Standard but without Office 365. In this article I will describe how you can solve this issue. It is possible to manage an Office 365 deployment via GPO. So you can make sure that all the users are using the same vesion. Also you can ask certain people to test a newer version. If the new version gives issues, you can easily revert back to the previous version. In this article I will show you how this is done. In some cases the Ralink BlueTooth driver causes the HP computer to crash after enabling Hyper-V. I had the same issue.